Nutrition and oral health go hand in hand. Nutrition and oral health go hand in hand. Eating the right foods and adopting the right dental habits will go a long way to a healthier smile, but snack on the wrong things and your teeth will bear the consequences too. Preventative treatment is vital for the health of your teeth and that doesn’t just mean visiting your family dentist for regular check-ups and professional cleaning. To care for your teeth between appointments, maintain impeccable oral health and make these common foods and drinks a part of your diet. By snacking on these surprising selections, you can keep both your teeth and your dentist happy! By snacking on these surprising selections, you can keep both your teeth and your dentist happy! Black and green teas contain compounds called polyphenols that can slow the growth of the bacteria that causes cavities and gum disease. As well as this, they contain chemicals that naturally fight the smelly compounds that can cause halitosis (bad breath). So swap your daily long black for a green tea – not only will you avoid the staining caused by coffee but you’ll have healthier teeth and fresher breath! You may think that tangy citrus fruits would be bad for your teeth but an orange is one of the least acidic of the citrus family. They can promote healthy gums by strengthening blood vessels and connective tissue such as the ligaments and fibres that hold your teeth in place. They are also packed full of vitamin C, which has been shown to slow the progress of gingivitis (an inflammation of the gums). 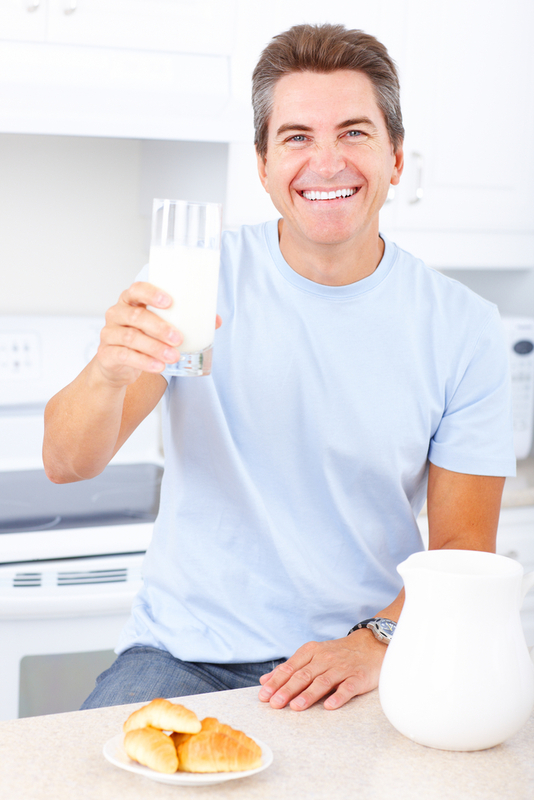 It’s not only your bones that benefit from a calcium-rich diet but your teeth as well. Calcium strengthens teeth and also helps to fight gum disease. Drinking a glass of milk after consuming sugary foods is an effective way to wash away the sugar while reducing the level of harmful acids inside your mouth. Before they’re cooked, onions have amazing antibacterial properties that can fight the causes of cavities and gum disease. Try adding some raw red onion to a salad or sandwich to gain these benefits, but make sure to chew sugar-free gum afterwards! Wild salmon is one of the best dietary sources of vitamin D, which is necessary for effective absorption of calcium. Without adequate vitamin D, the calcium you get from milk, cheese and yoghurt won’t be fully absorbed so your teeth won’t be getting the nutrients they need to stay strong and healthy. To book an appointment with your local Joondalup dentist, to enquire about teeth whitening, or to discuss cosmetic dentistry, call Anchorage Dental now on (08) 9407 7888 or visit us online for more information.